Hoop Camp is host to the World Hoop Day auction and this year the WHD Dance is represented with a t-shirt that shows off the structure of the dance. We wore similar shirts in the tutorial videos and you'll see me in one when I'm teaching the dance on tour. Win the auction for this shirt and you can wear it for rehearsals or confound people with the mysterious code. 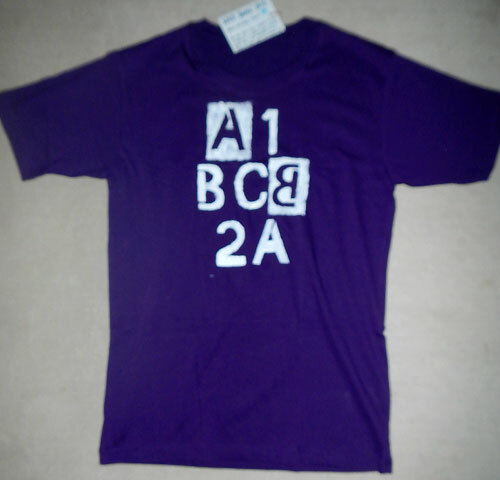 /Specs: purple cotton Uniqlo shirt, M size. Hand cut stencils, acrylic paint. Wash gently & avoid high heat drying.